Recently J&K has been seen some trouble times. The PDP, BJP alliance under the new Chief Minister (CM) Mehbooba Mufti has seen baptism by fire and there is no let up. 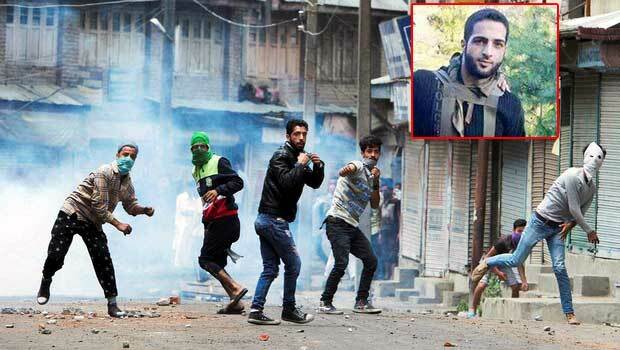 The Burhan Wani encounter started the wave of protest which doesn’t seem to be stopping and has put the CM under tremendous strain, the government at the center too has been feeling the heat. The state of J&K is going through a cusp period which if not handled properly could spiral into something which would match the breaking down of the Berlin Wall. The question that is upper most in many people’s mind is: what happens if the PDP government is not able to deliver, and the protests continue in spite of everyone’s best efforts. Is there a plan B with the government? The role of the governor in such a scenario becomes critical. The present governor of J&K, Shri NM Vohra has been holding the job for last eight years should be allowed to exit with grace and bouquets, for the wonderful job that has he has done under very difficult circumstances. Governor’s post in the troubled state of J&K has always been a very sensitive issue. The ghost of Jag Mohan’s legacy still haunts the J&K. Most political parties and specially the one in power desire a low key, non-interfering, mild man who would not rock the boat too much even if things turn ugly in the state. The central government would like someone who can look after the center’s interests with a certain amount of soft glove approach. Any man with certain administrative background or skill should fit the bill for both these criteria. Hence the administrative service would get preference to hold that post. Washington: Consuming traditional diets of countries such as India, Japan and Nigeria—which have lower meat content than the Western diet—may significantly reduce the risk of Alzheimer’s disease, a new study has found. Globally, about 42 million people now have dementia, with Alzheimer’s disease as the most common type of dementia. Rates of Alzheimer’s disease are rising worldwide. The most important risk factors seem to be linked to diet, especially the consumption of meat, sweets, and high-fat dairy products that characterise a Western Diet. For example, when Japan made the nutrition transition from the traditional Japanese diet to the Western diet, Alzheimer’s disease rates rose from 1% in 1985 to 7% in 2008, with rates lagging the nutrition transition by 20-25 years. The evidence of these risk factors, which come from ecological and observational studies, also shows that fruits, vegetables, grains, low-fat dairy products, legumes, and fish are associated with reduced risk. In addition to reviewing the journal literature, a new ecological study was conducted using Alzheimer’s disease prevalence from 10 countries (Brazil, Chile, Cuba, Egypt, India, Mongolia, Nigeria, Republic of Korea, Sri Lanka and the US) along with dietary supply data 5, 10 and 15 years before the prevalence data. In a move to streamline defence procurement and push the Make in India initiative, the Ministry of Defence (MoD) has constituted a nine-member committee under the chairmanship of Vivek Rae, former Director General (Acquisition) – DG (Acq). The committee’s Terms of Reference (ToR) require it to suggest a suitable organisational structure in light of international best practices. In this context, this Special Feature highlights the importance of studying the French procurement system. Notwithstanding the establishment of structures and procedures, India’s defence acquisition has not progressed as desired. India’s current acquisition framework consists, broadly, of a two-tiered structure, comprising the Defence Acquisition Council (DAC) and its subordinate bodies ­– the Defence Procurement Board, the Defence Research and Development Board and the Defence Production Board. This structure was created in 2001 in pursuance of the recommendations of the Group of Ministers (GoM), which was set up to review the “national security system in its entirety”. The acquisition procedures, which are captured in a document known as Defence Procurement Procedures (DPP), predate the current structure and were first announced in 1992. The DPP has been revised several times, the latest revision being in June 2016. Notwithstanding the establishment of structures and procedures, India’s defence acquisition has not progressed as desired. Among the failures of India’s defence acquisition framework has been its inability to ensure time-bound procurement thus forfeiting available budgetary resources, as well as vulnerability to import-centric pressures, corruption and controversies. In the last 10 years alone, the MoD has forfeited a cumulative total of Rs. 51,515 crore of the allocated budget (see Table 1). It is partly because of these unutilised funds that modernisation of the armed forces has been delayed inordinately. 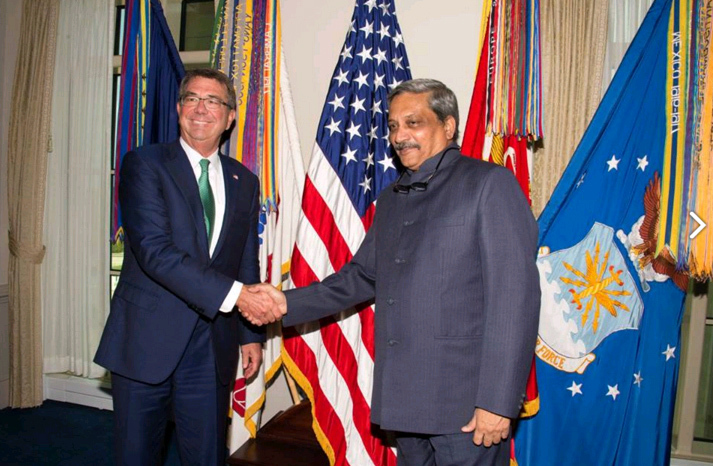 “At the invitation of U.S. Secretary of Defense Ashton Carter, Minister of Defence of India Manohar Parrikar made his second official visit to the United States from August 29-31, 2016. In addition to his official meetings at the Pentagon and joint visit to the 9/11 Memorial with Secretary Carter, Minister Parrikar also met with the leadership of the Defense Innovation Unit Experimental (DIUx) and visited U.S. Cyber Command (CYBERCOM). He will also visit the Defense Advanced Research Projects Agency (DARPA), and Joint Base Langley-Eustis for a tour of the Air Combat Command (ACC) and the 480th Intelligence, Surveillance, and Reconnaissance (ISR) Wing. In addition, he will interact with representatives of U.S. defense industry during the visit. The defense relationship between India and the United States is based on the two countries’ shared values and interests, and their abiding commitment to global peace and security. During their meeting, Minister Parrikar and Secretary Carter discussed the wealth of progress in bilateral cooperation and the deepening strategic partnership between the United States and India. The visit – their sixth interaction to date – demonstrates the importance both sides place on strengthening defense ties across many areas: from increased strategic and regional cooperation, to deepened military-to-military exchanges, to expanded collaboration on defense technology and innovation. Since I started covering the trials and tribulations of Jammu & Kashmir starting in 1986 as a reporter and editor, I have met, interviewed and known every important actor on the scene—chief ministers, ministers, separatists, clergymen, exiled Pandits, slain leaders, bereaved mothers, governors, intelligence officials, Pak-trained border crossers, prime ministers in Delhi. You name them. My views on Kashmir, my understanding of “Kashmiriyat” and the socio-political psyche that fuels this passionate, ineluctable identity-urge were derived from the people and wisdom of that soil and not from propagandist-posturing by either Delhi or Rawalpindi and its paid apologists and hit men. My outlook is well-known. The problem is between Delhi and the people of Kashmir and not between India and Pakistan. Pakistan has no role to play in this except that of a blood-stained mischief-maker into whose hands Indian governments and politicians have stupidly played since 1948. That is why statements by lawyers like Prashant Bhushan, the uncrowned Emperor of India’s PIL domain, advocating a plebiscite of referendum in Kashmir, distort history and give moral firepower to those hell-bent in preventing a just resolution of Kashmiri grievances within the Indian union. Amitav Ghosh, one of India's finest writers, discusses climate change, with Rediff.com's Vaihayasi Pande Daniel. Soon after The Great Derangement: Climate Change And The Unthinkable, his latest book released, the areas of Bihar where Ghosh's family resettled after leaving then East Bengal are battling fearsome floods. Weather and water have been an essential part of the narrative of Amitav Ghosh's life. Almost like a relative. Also a lead character in many of his books. It followed him around wherever he went. In Kolkata the cloudy Hooghly formed the backdrop of his early life. Alexandria, where he studied, had the Nile delta that edges the Mediterranean. Oxford was on the placid Isis river, a portion of the upper Thames. Delhi, merely the distant Yamuna. When he moved to New York, the Atlantic Ocean and the Hudson river wound their way into his life. For anyone who has had occasion to look out their window at the horizon to where water meets the sky, there are instances when the scene can perturb you. The thunderous heavens or a rising ocean is as discomforting as a calm blue sea is soothing. Whether one looks at the Scorpène data leak from a commercial point of view or a state espionage point of view the facts simply don't add up. Here is what we know thus far. Sometime before 2011 someone collated a document that by the laws of secrecy - specifically to compartmentalise sensitive information - should have never been collated. This was a comprehensive sheet of specification of three weapons systems - The Scorpène class submarine, the FREMM class frigates and the Mistral class Helicopter Carriers/Amphibious operations support ships. This document was then according to The Australian newspaper either stolen or transmitted to a South Asian Subsidiary of French shipbuilder DCNS and was then transmitted to a private company in South East Asia in support of a bid. That document was then transferred to a private company in the same South East Asian company and was mysteriously emailed to an Australian Company. DCNS surprisingly has yet to make any public statement at the time of writing. In private they have suggested that the leak may have happened on the Indian side - with Mazagaon Docks limited. Now the story has shifted that this was a French ex-naval officer who stole the document. The problem is none of these stories make sense and here's why. In 2011 there were only two countries that were looking at all three systems in question - India and Singapore. India was looking at a follow on to the Scorpène under the P75I programme, at a new frigate design that would bring modular construction methods into Indian shipbuilding for the first time and a helicopter carrier under somewhat vague terms. The Singaporeans at the same time were evaluating the same three platforms. Their helicopter carrier plans remain vague and in 2011 it was still an expression of interest that solicited concepts ships from various shipyards. Singapore was also looking at the FREMM frigates at the time as a possible successor to their then brand new Formidable class. this was natural as Singapore likes to plan procurements well ahead of time. Finally Singapore evaluated and rejected the Scorpène for a German design. At 10.30 am on 28th August, 51 years ago, a group of soldiers of the Army’s 1 Para led by Major (later Lieutenant General) Ranjit Singh Dayal wrested control of the Haji Pir Pass in Jammu and Kashmir, which for 18 years after partition had been under Pakistani occupation. A Pakistani counter attack the next day was effectively repulsed and by August 30, the Indian Army had established complete control over the Pass along with most peaks in the vicinity. It was, however, only with the capture of Kahuta in the vicinity on September 10 that the mouth of the Haji Pir Bulge was closed, the entire sector sealed and Pakistani resistance in the area brought to an end. The initial victory had come after a 37-hour pitched battle by a stubbornly brave and innovative 1 Para against all odds comprising rain, slush, fog, a steep hostile terrain and, of course, enemy fire. The attack was part of a multi-pronged assault by a total of five Infantry battalions supported by the equivalent of two Artillery regiments to take the geographically and militarily important Haji Pir Bulge of which this Pass is the central feature. Interestingly, the taking of the Pass marked the Army’s only decisive and successful offensive military action undertaken from start to finish during the entire duration of the 1965 India-Pakistan War that had unofficially begun on 5th August with the first detection of Pakistani infiltrators and formally ended with an UN-directed ceasefire on 23rd September. The 8,652 feet high Haji Pir Pass, a dominating feature located on the western fringe of the formidable Pir Panjal range that divides the Kashmir Valley from Jammu region, provides a direct road link between Poonch, located west of the Pir Panjal in Jammu region, and Uri, located across the mountain range in the Kashmir Valley. Over the past one and a half months, a host of institutions and individuals in India have impressed upon the Bharatiya Janata Party(BJP)-led Central government to reach out to Kashmiris to bring a peaceful end to the crisis in the Valley. Parliament discussed it at length, participants in an all-party meeting urged Prime Minister Narendra Modi for a political solution, and even a senior Army general has indirectly hinted at the need to talk to ‘all stakeholders’ in Jammu and Kashmir (J&K). And yet, the BJP leadership has summarily failed to act on such advice and normalise the Valley. The BJP continues to approach the Kashmir issue either using a Pakistan angle (insisting that the Kashmir uprising is propped up by Pakistan) or from a Hindu-Muslim perspective. Home Minister Rajnath Singh’s attempts to blame the unrest entirely on Pakistan and rope in Delhi-based Muslim clerics to reach out to Kashmiris are indicative of these flawed approaches. The reality is that neither do Indian Muslims have anything to do with what happens in Kashmir nor is the ‘azadi’ struggle in Kashmir a purely Islamic movement. This shocking inability of the BJP to meaningfully resolve or sensibly respond to the ongoing turmoil in Kashmir is not merely a result of the arrogance of power or sheer political ignorance. At a very fundamental level, this is the result of a clash that exists between the BJP’s politics of symbolism and what Kashmir’s ‘azadi’ movement symbolises. While some of the demands made and positions taken by both the BJP leadership and the Kashmiri dissidents are indeed substantive, if not entirely useful, the fact is that there are thick layers of symbolism that surround these substantive arguments, with the latter almost clouding the former. The Kashmir issue is as much symbolic as it is substantive. Hence one cannot address the substantive issue of conflict resolution in Kashmir without addressing the symbology of the ‘azadi’ movement. Relations between the two South Asian countries may have soured, but both have a duty to to protect vulnerable Bengali expatriates. Recent relations between Pakistan and Bang­ladesh have, regrettably, been far from ideal, and the fact that the Awami League party in Bangladesh has been at the helm of its country’s affairs for two successive terms serves to further strain diplomatic ties between the two populous South Asian states. Unlike Khaleda Zia, who leads the Bangladesh Nationalist Party, Prime Minister Sheikh Hasina Wajed is a strong ally of India and is well known for her anti-Pakistani posturing. The recent execution of Motiur Rahman Nizami, head of the banned Jamaat-i-Islami party, as well as the earlier executions of senior Jamaat-i-Islami members for their alleged involvement in war crimes in the 1971 war by a controversial and widely discredited Bangladesh’s International Crimes Tribunal has only further polarised Bangladesh’s relations with Pakistan. These events have also had an adverse impact on the existing visa regime between the two nations. The issuance of visas is becoming increasingly difficult and, coupled with onerous requirements im­­posed upon their approval, is making travel for ordinary citizens between the two countries exceptionally hard. The larger problem at hand, however, is something else entirely. Estimates put the total number of Bengalis currently residing in Pakistan at around three million. Many of them are low-income labourers from Bangladesh who have either overstayed their visas and/or are illegal immigrants. Bangladesh denies the presence of any such illegal aliens in Pakistan, and with the recent cooling in relations there is a genuine fear that such groups could face expulsion or refoulement from Pakistan or even the possibility of domestic incarceration. Platforms such as QQ, WeChat or Qzone have hundreds of millions of users and, just as Facebook, Instagram and WhatsApp, they're all owned by the same company. Their parent company Tencent recently became China's largest tech company, after surpassing its rival Alibaba in terms of market capitalization this week. As our chart illustrates, there's no need for Tencent to fear the comparison to Facebook. While its social networking / messaging services have yet to reach the billion-user mark, its financial results are roughly on par with those of the world's largest social networking company. In fact, until as recently as 2015, Tencent was more profitable than Facebook, and has been for many years prior. From an investing standpoint, both companies have been doing great over the past 12 months: Tencent's stock price soared 45 percent since August 2015, Facebook's is up by 30 percent. This chart compares Tencent and Facebook in terms of financial and operating metrics. As Hillary Clinton and Donald Trump continue to sling accusations—and as their campaigns sink to new lows—they may want to remember that dangerous states continue to threaten America. At the top of that list of adversaries is the People’s Republic of China. Here are the top five things for them to keep in mind. Beijing seized Scarborough Shoal, just 124 nautical miles from the main Philippine island of Luzon, in early 2012. Then, both Chinese and Philippine vessels surrounded the South China Sea feature. Washington tried to end the confrontation by getting both sides to agree to withdraw their craft. Only Manila complied, however, and China has remained in control of the feature since then. The Obama administration did not enforce the agreement it brokered. If it thought inaction could defuse tensions, it was making a Chamberlain-type mistake. Chinese policymakers, obviously emboldened by their success, then ramped up pressure on Second Thomas Shoal, another Philippine feature in the South China Sea, and the Senkakus in the East China Sea, controlled by Japan but contested by China. The Chinese, in short, simply broadened the geographic scope of their provocative activities. The White House, fortunately, changed course. In March, President Obama privately warned Beijing of, in the words of the Financial Times, “serious consequences” should China begin to cement over coral at Scarborough, thereby making permanent its act of aggression. In April, four U.S. Air Force A-10s, feared ground-attack craft, flew “an air and maritime domain awareness mission in the vicinity of Scarborough Shoal,” reinforcing the administration’s point. Analysts Zack Cooper and Jake Douglas believe the A-10 flights deterred Beijing from reclaiming Scarborough at that time. State Counsellor of Myanmar Aung Sang Suu Kyi’s recent visit to China from 17-21 August 2016 signalled the importance which Myanmar continues to attach to its ties with Beijing. During the visit Suu Kyi met Chinese President Xi Jinping and Chinese Premier Li Keqiang to promote bilateral relations and friendship. She also met with Zhang Dejiang of Chairman of Standing Committee of the National People’s Congress. China is important to Myanmar for ensuring peace along its northern border areas where ethnic conflicts continue to simmer. Some of the rebel ethnic groups operating along the China-Myanmar border are said to be backed by China which is a constraining factor in the ties of the two countries. The National League for Democracy (NLD)-led government is keen to harness China’s help in restoring peace in the country by ensuring that such insurgency is tackled. From the joint statement which was released during Suu Kyi’s visit it is evident that both China and Myanmar are keen to extend their friendship and advance their comprehensive strategic cooperative partnership. It was also affirmed that promoting rule of law in the border areas was of particular interest to both countries and it also mentioned China’s keened on helping Myanmar in its process of national reconciliation. Close on the heels of assured support from China for the national reconciliation process n Myanmar, three ethnic rebel groups- the Kokang group, the Arakan Army and the Ta’ang National Liberation Army, which have connections to China and which had thus far stayed away from the reconciliation process declared their intention to join a peace conference which Suu Kyi will convene later this month. An end to the insurgency along the Myanmar-China border would help China as it had become impossible to conduct legitimate trace in these regions due to the lawlessness created by these groups. If the peace process is successful, it would be easier for China to build communication and transport lines across northern Myanmar to Bay of Bengal, allowing it to circumvent the South China Sea. If Suu Kyi is able to being these three groups to the peace conference it would imply that she has been hugely successful in reconciling the rebel groups which would mean that the NLD was able to achieve one of its main goals after assuming power in Myanmar. The Pentagon has never been at a loss for cute catch phrases when it comes to describing the Next Big Thing in the way of warfare. Like many initiatives coming out of the Pentagon, it is long on ambition and short on details. Yet people in the Asia-Pacific had better become familiar with this new idea, as it will likely have a significant impact on the region. The third offset strategy is all about leveraging US advantages in new and emerging critical technology areas in order to overcome supposedly weakening US advantages in more “traditional” areas of conventional military power. The concern is that the US is losing its “near-monopoly” in “reconnaissance-precision strike,” as potential adversaries are now capable of fielding their own reconnaissance-strike networks to challenge US power projection. As such, the US military is increasingly vulnerable to long-range strike, modern integrated air-defense systems, more capable underwater systems, and attacks in the space and cyber domains. The third offset strategy is both about developing new capabilities and about exploiting state-of-the-art enabling technologies. China has established the Aero Engine Corp of China in Beijing on Sunday, a “strategic” move that aims to boost its fast-growing aviation industry and the modernization of the Chinese military. The AECC was set up with investment from the State Council, the Beijing municipal government, Commercial Aircraft Corp of China and Aviation Industry Corp of China (AVIC), with a registered capital of 50 billion yuan (US$7.5 billion). It also has 96,000 employees, including six academics from the Chinese Academy of Sciences and Chinese Academy of Engineering, according to the company. Chinese President Xi Jinping hailed the establishment in a written note, calling for acceleration of the research, development and manufacturing of aircraft engines and gas turbines to help China to build a strong aviation industry. Premier Li Keqiang also said in his written instruction that engineers at the company should learn from other nations' experience and focus on key technologies for aircraft engines. 'During his visit to Vietnam on September 3 -- the first visit by an Indian prime minister in 15 years -- Modi will notice the widespread anti-China sentiment in that country,' says former RA&W officer Jayadeva Ranade. Prime Minister Narendra Modi will have a busy and complicated agenda as he travels to South East Asia in the next few days. He will observe that dark clouds continue to linger on the horizons of the South China Sea well after the Permanent Court of Arbitration at The Hague delivered its decision on July 12. Countries that have maritime territorial disputes with China are increasingly uneasy. During his visit to Vietnam on September 3 -- the first visit by an Indian prime minister in 15 years -- Modi will notice the widespread anti-China sentiment in that country. There is also palpable tension as Vietnam anticipates that China may take some robust steps in the South China Sea in the weeks following the G-20 Summit in Hangzhou on September 3-4. Uncertainty is accentuated by the apparent unwillingness of the US to draw easily identifiable 'red lines.' China's economic and military might has pressured countries in the region and widened fissures in the Association of Southeast Asian Nations further weakening it. The Philippines and Taiwan are already feeling the adverse effects of China's economic pressure. Recently uncovered ISIS documents read like a bad comedy about embezzlement, infiltration, and bureaucratic infighting. Men inspect a damaged site after double airstrikes on the rebel held Bab al-Nairab neighborhood of Aleppo, Syria, August 27, 2016. MOSCOW Russia's politically-sensitive and ultimately fruitless decision to launch bombing missions on Syria from Iranian soil has exposed the limits to its air power, leaving Moscow in need of a new strategy to advance its aims.People familiar with Russia's military said Moscow opted for the sorties from Iran - and Tehran agreed to allow them - because they were struggling to achieve their aim of crushing rebels in the city of Aleppo. The gamble failed and rebels fighting their ally, Syrian President Bashar al-Aasad, remain ensconced in parts of Aleppo. Russia began air strikes on Syria in support of Assad on Sept. 30 last year, launched from bases in government-held territory and from warships. Then this month, facing logistical problems in mounting an expensive campaign at a time of tight state finances, it intensified the bombing of Aleppo in what turned out to be a brief series of raids from Iran. The strikes on the Aleppo rebels seem to have achieved little beyond stirring a political row in Iran, whose constitution forbids the establishment of any kind of foreign military base. The fact that Russia went to such lengths to achieve its aims in Aleppo and still failed could strengthen the hand of those in Moscow who believe the operation in Syria has reached a watershed, and that it is time to seek a negotiated solution. BEIRUT, Lebanon — In a new escalation that further complicates American involvement in the Syrian war, Syrian rebels pressed deeper into the northern part of the country on Sunday, seizing territory with the aid of Turkish airstrikes. The rebels, with Turkey’s help, took the border town of Jarabulus last week from the Islamic State — an incursion supported by the United States. But the rebels are now advancing into territory controlled by Syrian Kurds. That means the new fighting pits two American-backed Syrian forces against each other: rebel groups aided by the C.I.A. and allied intelligence agencies, and Kurdish-led militias that work with the Pentagon under an umbrella group called the Syrian Democratic Forces, or S.D.F. The United States has considered the Kurdish-led militias its most reliable partner on the ground in the fight against the Islamic State, also known as ISIS or ISIL. The United States has in recent days appeared to rebalance its support for the Kurdish militias with its backing of the Syrian rebels and Turkey, a NATO ally. 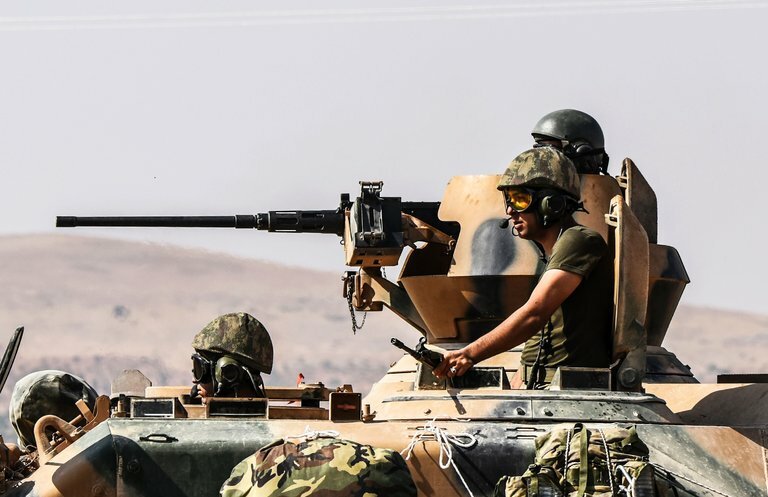 The Turks consider the Syrian Kurdish militias their enemy and are intent on keeping them from taking over an unbroken stretch of land along the border. As part of that rebalancing, the United States warned the Kurds last week that they should return to the eastern side of the Euphrates River, essentially asking them to cede control of areas they had seized recently from Islamic State fighters. But it is unclear what the United States will do if its allies continue to fight each other. How big a military threat is Russia, really? Understanding each other Some US generals see Putin's moves in Ukraine and Syria as dangerously aggressive. Others see calculated efforts aimed at blunting Western influence but not directly challenging the US. In a recent talk at one of America’s premier war colleges, the nation’s top military officer warned incoming students about the dangers of Russian aggression. Gen. Joe Dunford, chairman of the Joint Chiefs of Staff, pointed to Russia’s annexation of Crimea, its meddling in Ukraine, and its aid to the Syrian regime. Even in the face of a severe economic squeeze, "they are modernizing their nuclear enterprise, they are modernizing their submarine force," he said. Such warnings have become increasingly dire in foreign policy circles. Is Russia really the dire military threat that it's made out to be? Many longtime Russia analysts concur that there is certainly a role for a robust military posture but that Russia's moves don't merit the level of alarm that they have generated. The Bear is back. It’s happening on the ground in and around Ukraine, inside the virtual inboxes of the Democratic National Committee and at American news organisations. Russian cyberattacks are yielding eye-popping headlines warning not only of a return to Cold War-style behavior, but of the relative decline of American capabilities and power. The list of U.S. entities believed to have been breached by Russian hackers is long and troubling. It includes the White House, the State Department,the Defense Department, the NASDAQ stock exchange, the U.S. electrical grid and the Democratic National Committee. Russian cyberattackers have also attempted to hack the Moscow bureau of The New York Times. As the targets have moved beyond U.S. government to key civilian institutions, there has been a good deal of speculation about possible motives. These range from a desire to influence the outcome of November’s US presidential election to the broader goal of undermining US-European relations. What do we know about Russia’s capabilities, strategies and intents? And what should we know about this top-notch adversary, more advanced and stealthier than any other, so we can most effectively assess and address the prospect of a Russian threat? Editor's note: This is the first installment of a five-part series authored by ETM Analytics, an economic and financial advisory firm with offices in the United States and South Africa. The analysis contained herein reflects the views of ETM and not of Stratfor. In fact, as you will see, it is different from our existing worldview in some significant ways. We are sharing this with our readers because it is good work, produced using rigorous analytic tools and methodology. As always, we look forward to receiving comments and feedback. At the end of the series, we will share what we hear from you along with Stratfor's thoughts on how our view differs from ETM's. So much has been said about the wealth and power of the United States that to say anything more would be to peddle a cliché, one that has shrouded the U.S. economy in an aura of infallibility. It makes sense that this would be the case. The United States helms the global economy and has done so with varying degrees of intensity since World War II, when a new international economic system was established at Bretton Woods. Though Washington was not the only architect of that system, it was its chief steward and its biggest beneficiary. And as prosperous as it grew under that system, the United States was enriched further still once the system ended. But the aura of American economic infallibility has since faded, thanks in part to the economic failures brought to light in the 2008 financial crisis. Instead of correcting those failures, Washington doubled down on the policies that created the crash in the first place, incurring far more debt than it previously had and printing money at unprecedented levels. If this grand gamble fails to pay off, the global financial system could undergo a profound and unstable transition. As part of the project A Nation Engaged, NPR and member stations are exploring America's role in the world heading into the presidential election. At the start of the school year, Stephen Brooks likes to ask students at Dartmouth College to look around the globe and choose a region where they think the U.S. could pull back. Would they shrink the U.S. footprint in Western Europe, East Asia or the Middle East? Most students used to say Western Europe. That was before Vladimir Putin's Russia annexed Crimea and became involved in Eastern Ukraine. Now, most students say if they had to, they'd scale back in the Middle East, a region so troubled, the U.S. might not be able to do much to help. Brooks says this exercise is meant to get students thinking about the big picture, something the next president will have to do, too. "The biggest things on the table right now for any president is not the crisis of the day, but rather the overall position of America in the world," said Brooks, who co-authored America Abroad: The United States' Global Role in the 21st Century. With the presidential election just over two months away, NPR is looking this week at the current debate and the tough choices the next U.S. leader faces. We've called on our correspondents around the world to explore U.S. diplomacy in the Middle East, America's financial relationship with Europe, the rising military tension in the South China Sea and U.S. efforts to spread its cultural influence in Africa. Pervasive in academia, the perfection of specialization is the enemy of wisdom – by narrowing our curiosity, we limit our learning. Which is why I was thrilled to have received a new old book (1950), by B.H. Liddell Hart, Defence of the West: Some Riddles of War and Peace. Hart took on whale-sized topics, grouped in broad categories, including “riddles of the immediate past” like: “Was Russia Close to Defeat?,” “Was the 1940 Collapse Inevitable?,” and “Was Normandy a Certainty?” – in addition to several “riddles of the immediate future” like: “What Would Another War be Like?,” “Could We Survive Another War?,” and “Is Neutrality Possible in Modern Warfare?” This book was refreshingly refreshing in that it was genuinely fun to encounter a thinker that deliberately chose to engage with the biggest stuff – both the time-bound issues of the day and the timeless issues of all the days. This book highlights for me the value of simple, direct questions (as the Israeli Defense Force General Aharon Farkash has said: “The question is the answer.”). A provocative corollary to the art of the question is the simple, direct prompt, designed to stimulate thought on a similar set of big issues. And so in the spirit of Hart’s contribution, I offer this list of 51 provocative, important strategic debates worth having. The military’s purpose is to kill people and break things (a statement from which I dissent). There will never be another need for a mass airborne drop. Time to set cyber espionage 'norms' before more volatile nation-states follow suit, experts say. Russia’s cyber espionage machine traditionally has kept intelligence it siphons from the US close to the vest, but the recent wave of data leaks surrounding the US political campaign and believed to be by Russian state hacker groups represent a new breed of threat by the nation. The leaked emails and information from the Democratic National Committee and the (DCCC), which security firm CrowdStrike has tied to two known Russian nation-state cyber espionage units, marked the first time Russian nation-state cyber espionage actors have employed a combination of hacking and doxing against the US or another United Nations member, according to security experts. Russia has been known to perform similar tradecraft against neighboring nations, however. This isn’t the first time a nation-state group has doxed a US target: US officials called out North Korea as the hackers behind the epic and massive data breach, data-wiping and doxing of Sony Pictures Entertainment in 2014. While the attackers attempted to portray the breach as payback for the Sony film “The Interview” that purportedly upset Kim Jong Un, experts say it was more of a geopolitical midgame by the North Koreans to pressure US dealings with the nation.